Come. Sit. Stay. At the dog park that is! 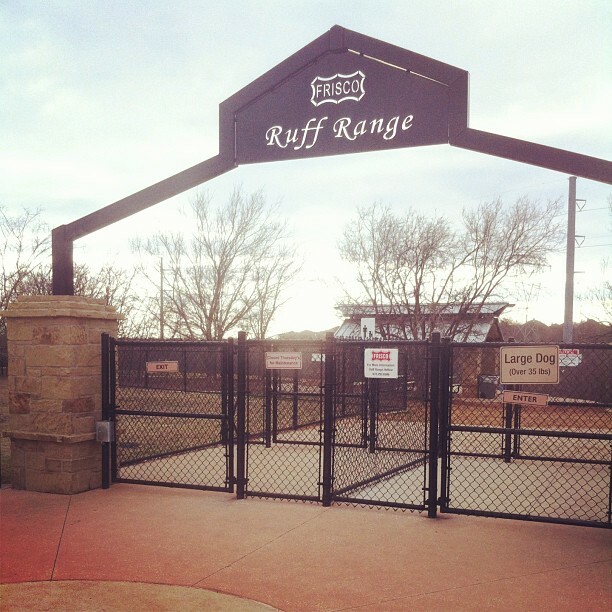 Grab little (or big) Fido and get down to Ruff Range dog park in Frisco Texas! 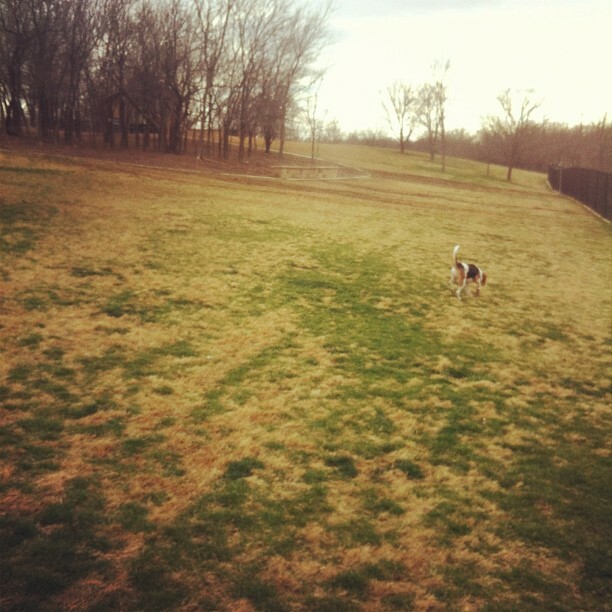 I recently checked out the park with my 3-year-old beagle, Ellie. She happens to have a never ending amount of energy so when given a large space to run around at and play, she doesn&apos;t waste a moment of it. After running a few starting laps around the perimeter of the fenced in dog park, she was ready to meet and greet the other dogs. There were just a small handful of dogs out on this particular day, but they were all friendly as well were their owners. 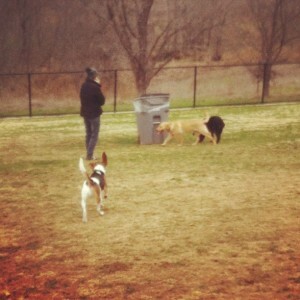 A yellow lab, chocolate lab, and papillon mix, all played well with my beagle while the owners all mingled together. I have to say, dog owners tend to be some of the best people and very friendly! I was not surprised to meet a great group of people out with their dogs. If you&apos;ve never been to Ruff Range or another dog park, I&apos;ll give you the run down. Dog parks consist of gated in land where owners can come and let their dogs off leash to romp and run around with other dogs. Great for socializing your dog! Socializing your dog helps them develop the confidence and ease that goes a long way in helping them become resilient in the face of unsettling situations. And bringing them to the dog park just lets them burn off some energy too (good for you and them). Ruff Range is divided into two different sections, the 35 lb. and above section (large dogs) and the 35 lb. and below section (small dog), and both have a standard set of rules. This helps with safety of the dogs, as it may be overwhelming for a very small dog to play with multiple bigger ones. Both sections are very clean and kept and also offer a covered area with places to sit for those extra sunny or rainy days. Go to PetSmart! This pet friendly store let&apos;s you take in your dog and shop with them. My dog just loves to pick out her own toys here. Not to mention, this is a great one stop shop. They have a vet (Banfield), a boarding / lodging area, and a professional grooming shop. Hit up a patio! Whether its your patio or one of these local pet friendly restaurant patios, being outside with your pup is always a good time. Go for a walk! Anywhere in Frisco. Just leash up your dog and hit the trails (or pavement that is). Where do you like to take your dog in Frisco? Send me a note - I&apos;d love to hear about it and check it out myself!